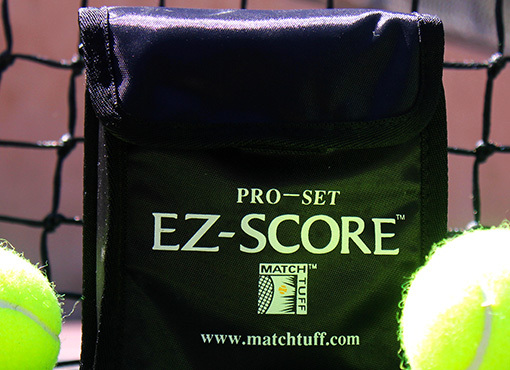 The MATCH TUFF™ EZ-SCORE™ was invented, patented and trademarked by ladies team players who were not satisfied with what was on the market. 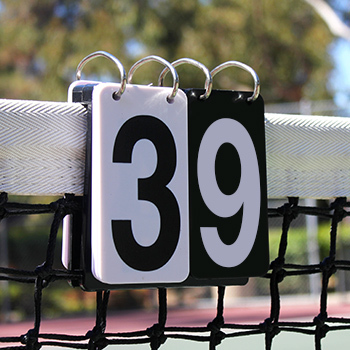 Our portable tennis scorekeeper allows players to focus on the game, not the score. 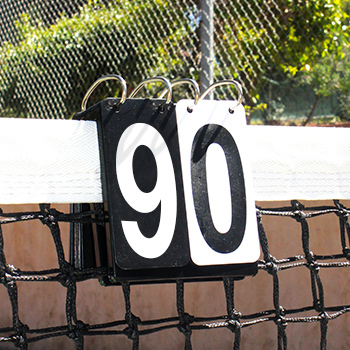 It fits perfectly on the tennis net so that players can easily see the game score from each side of the tennis court. 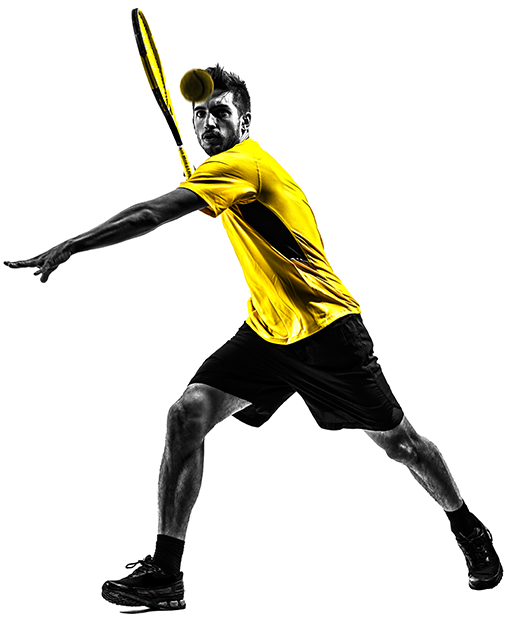 No more tennis disputes over what the game score is! 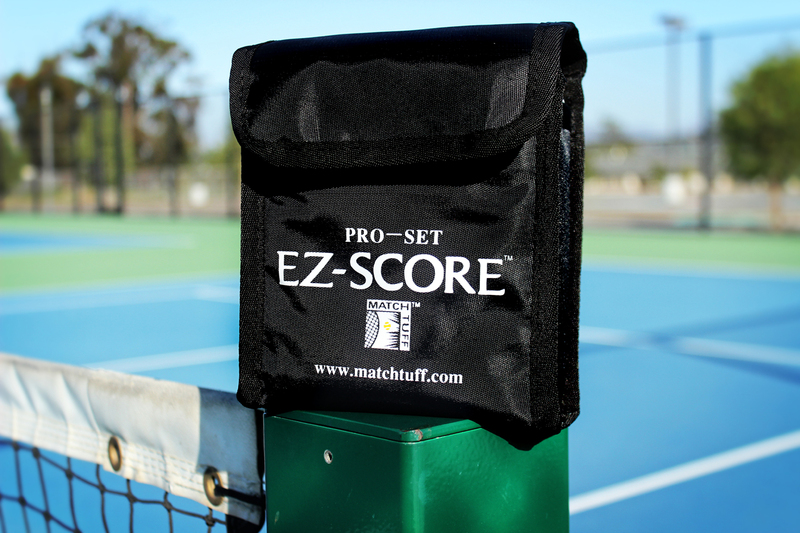 Ready to Purchase Your Portable Tennis Scorekeeper? 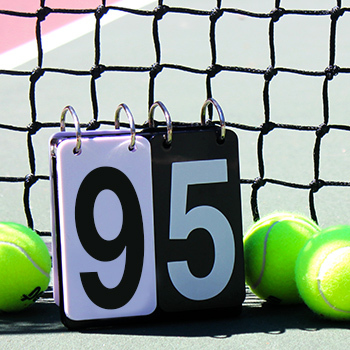 In 1998, two ladies tennis club teammates realized a need for a tennis scorekeeper for their matches at their home courts and more importantly for their “away” matches. With an idea in mind, they had an acquaintance research to see if anything similar to their concept had been patented or trademarked. 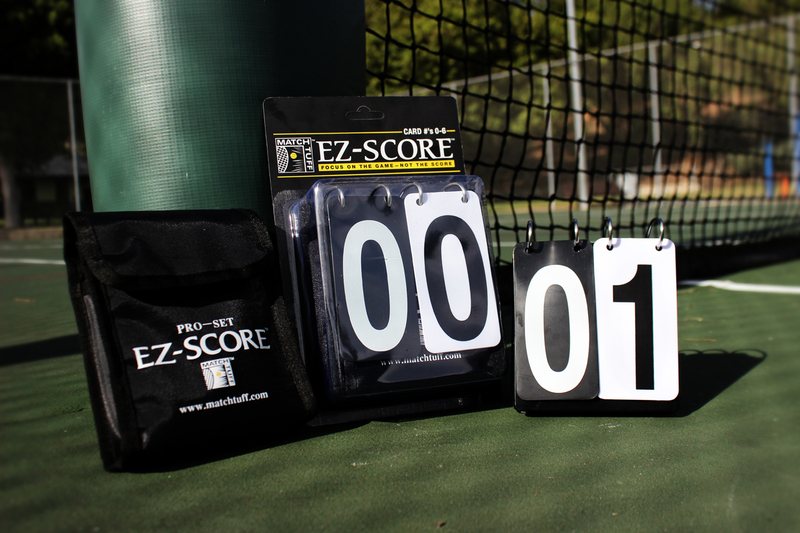 When nothing was found through their patent research effort, they designed and refined their idea for a Portable Tennis Scorekeeper that they named the “EZ-SCORE™”. 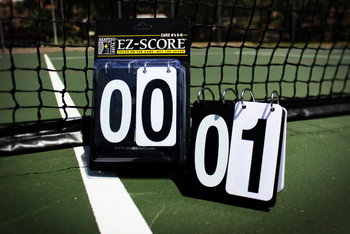 I love the EZ Score system and upon arriving home I immediately bought 6 more for my home courts. They set-up and take down easily and fit in a small gym bag I keep in my trunk. They are durable and look good. Spectators can easily see them from both sides of the court. I will never go back to the chunky scoring systems again. 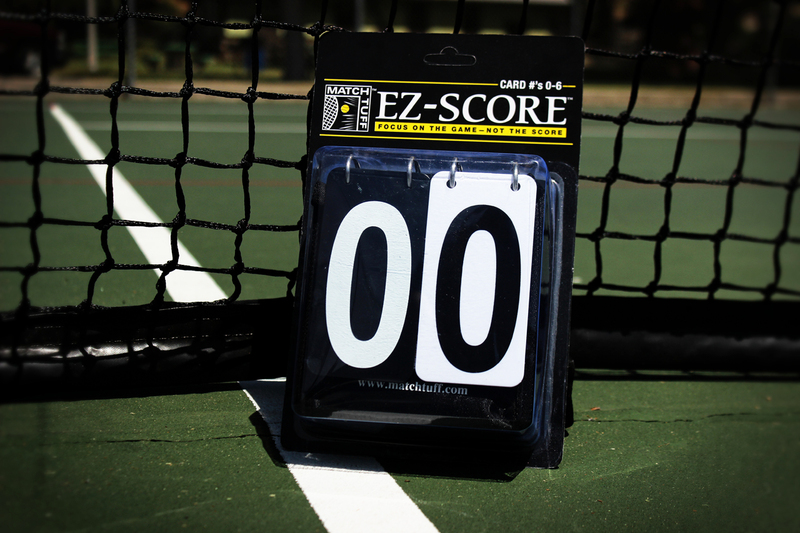 Thanks EZ score for being the best scoring system in tennis.